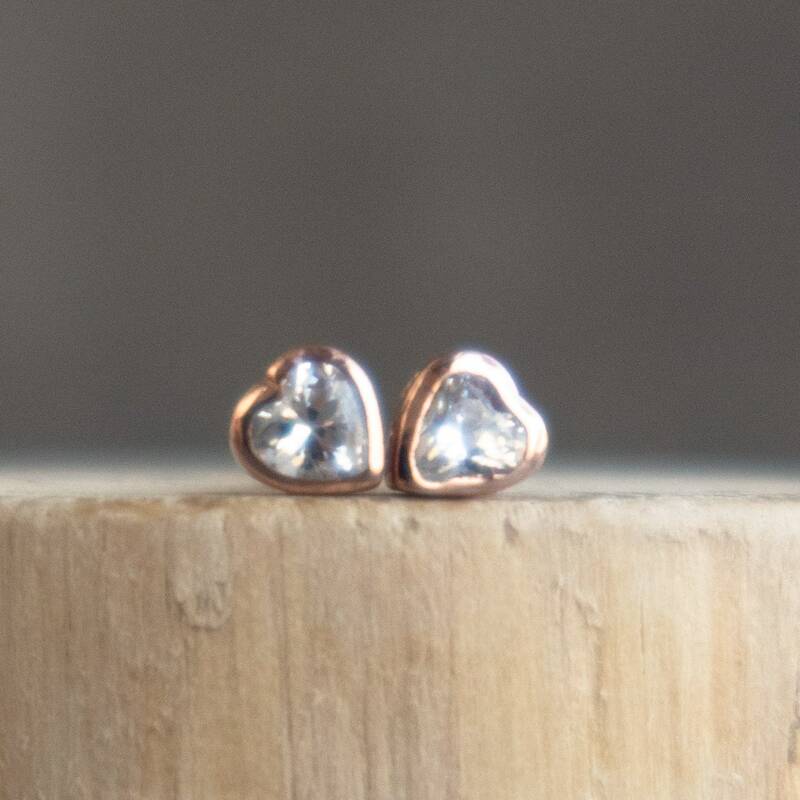 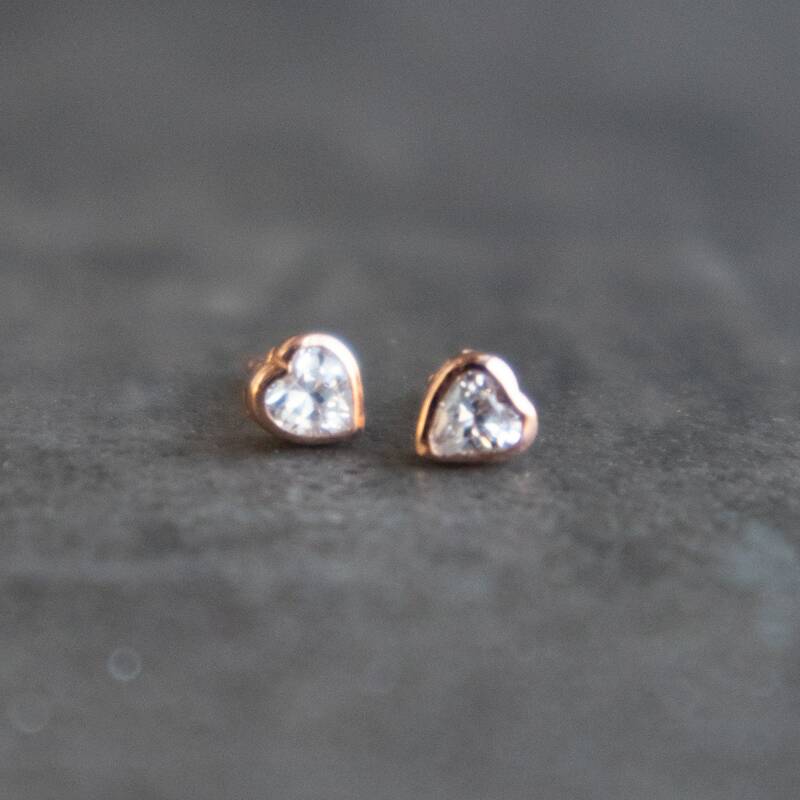 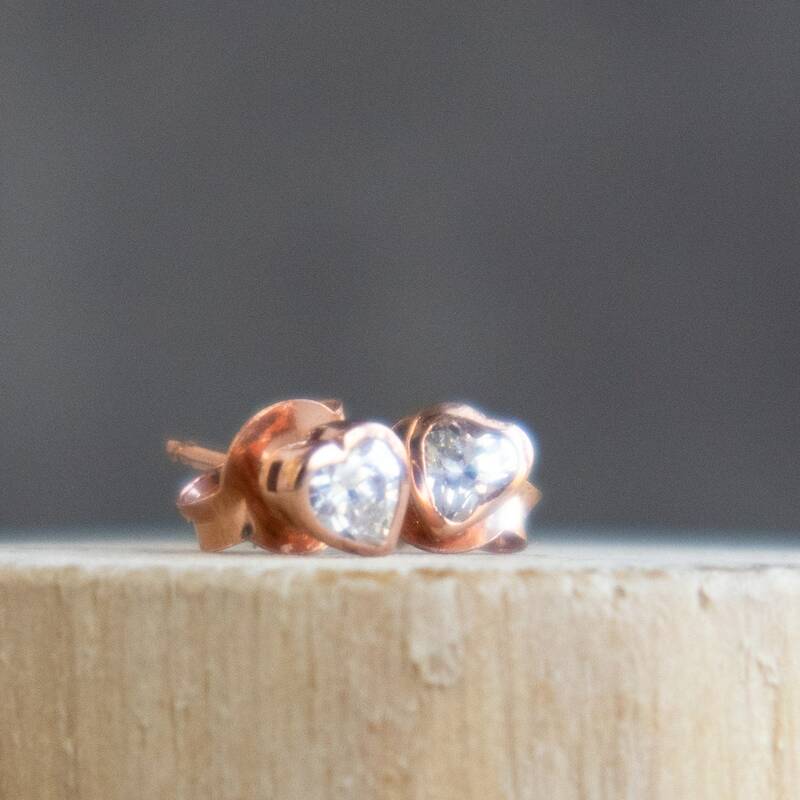 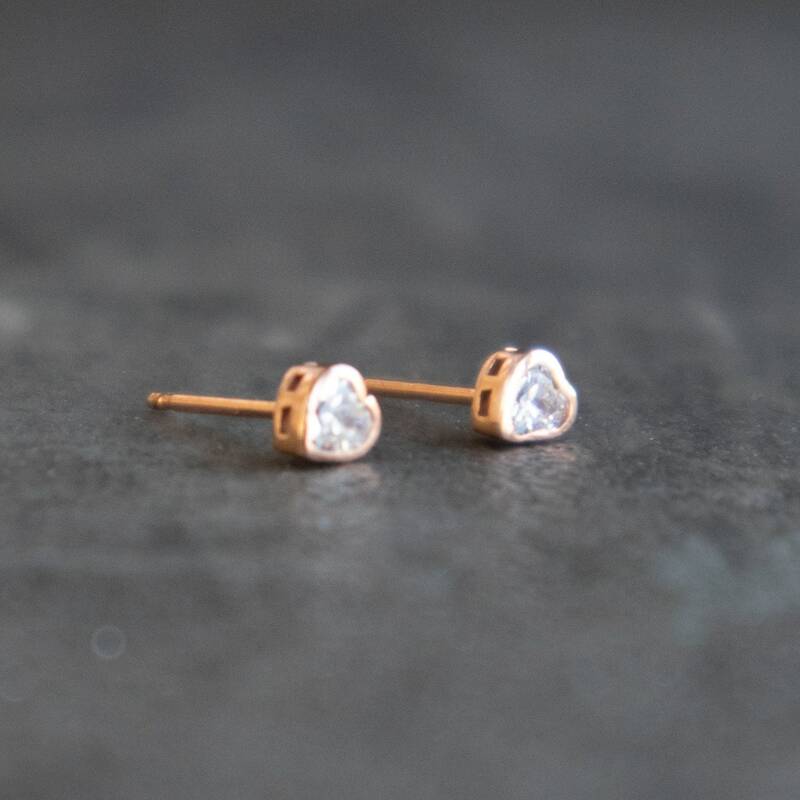 Tiny heart stud earrings in Rose Gold Vermeil with CZ diamonds. 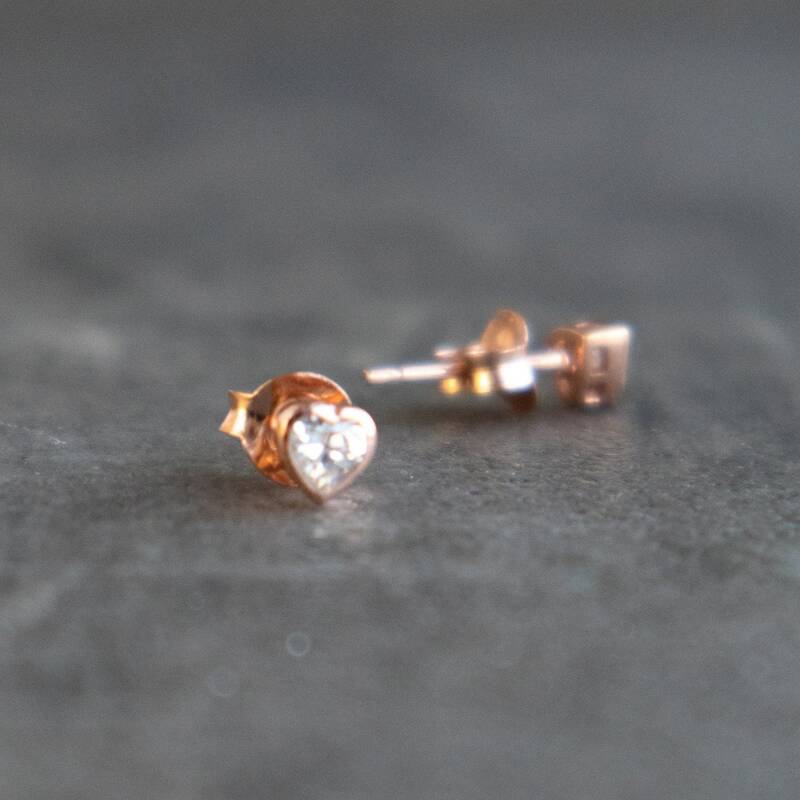 Perfect for everyday sparkle! 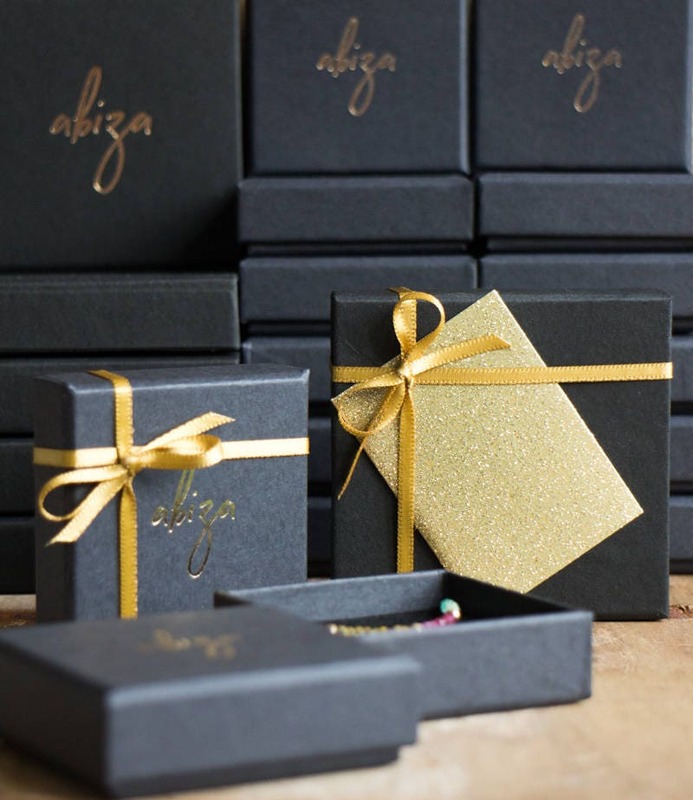 They come in a beautiful Abiza gift box, ready to gift. 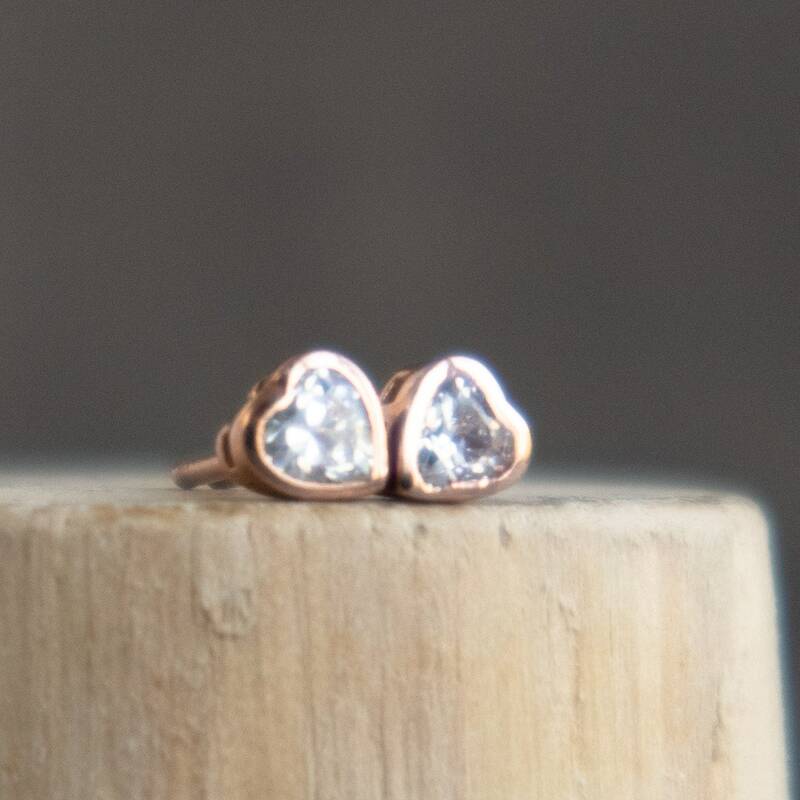 •Listing is for one pair. 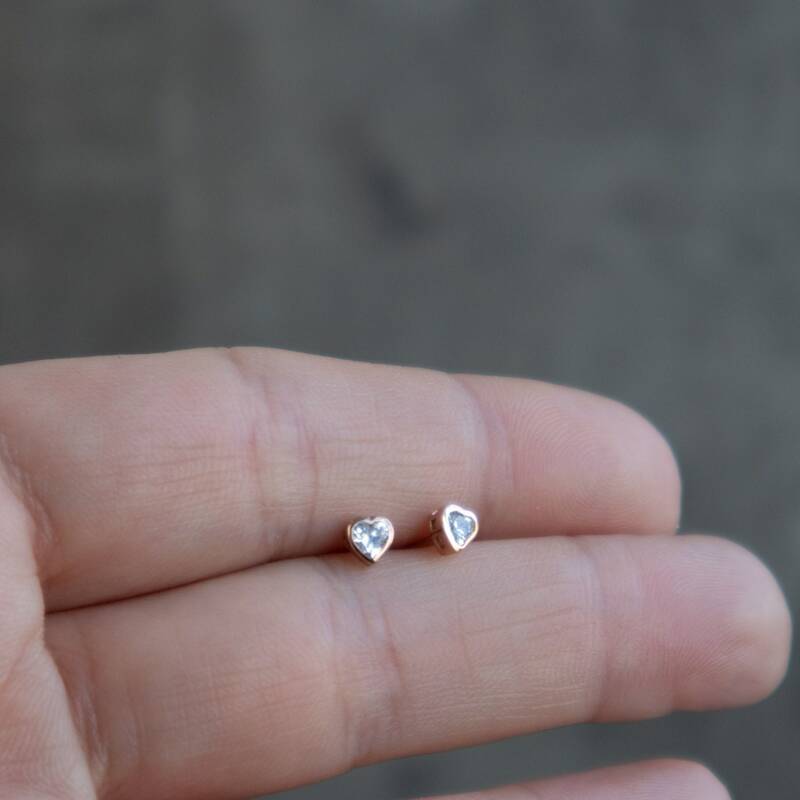 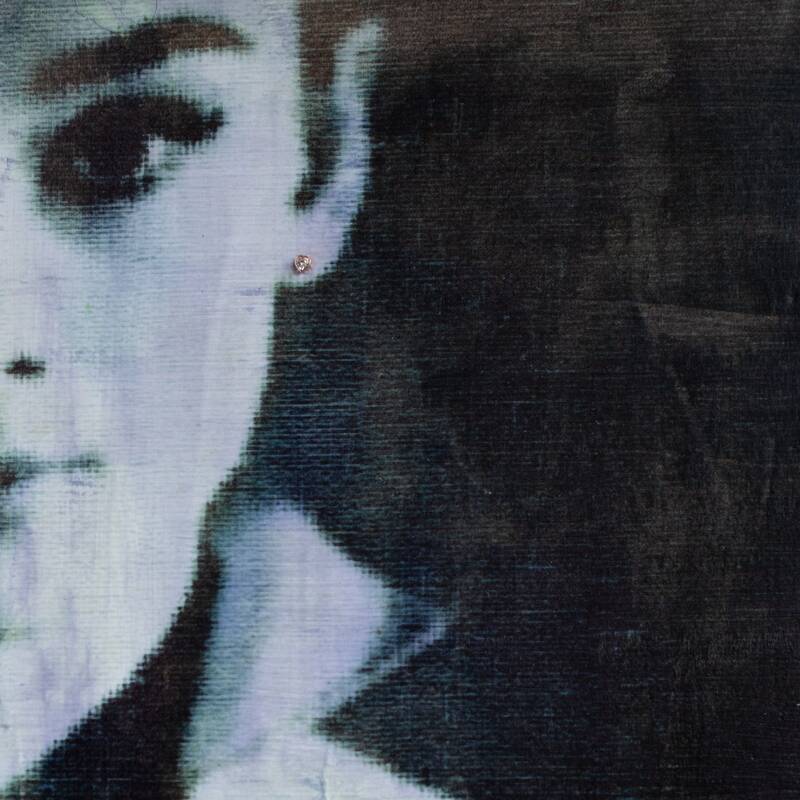 • 4x4mm-Please check all photos for the scale, These are tiny.